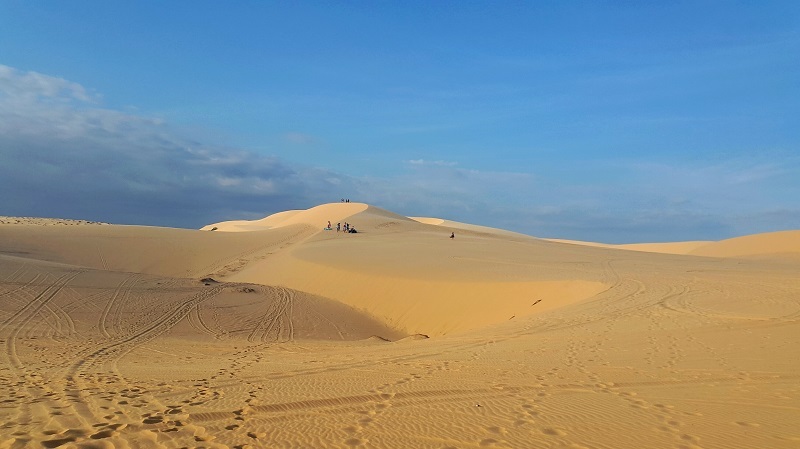 Bet you didn’t know that there are sand dunes in Vietnam. A few months back, I didn’t either. 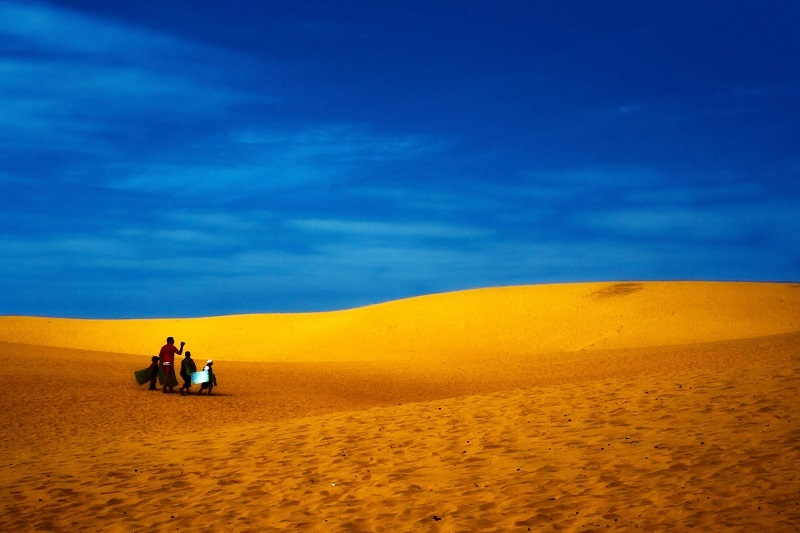 As I was browsing the net one fine afternoon, I came across some photos of a spectacular desert. To my huge surprise, the photos were shot in Vietnam. It suddenly dawned on me that fulfilling my dream of being in a desert landscape no longer required me to head to the Middle East or Africa. I booked my flight ticket to Vietnam merely weeks after that day, eager to sink my feet into the sand that stretches to the horizon. The sandy paradise is in Mui Ne, which is just four hours away from Ho Chi Minh City. Mui Ne is a resort town that spans 15 kilometres along Vietnam’s southern coast. There are two sand dunes you can easily access from Mui Ne, namely the Red Sand Dunes and the White Sand Dunes. My time in Mui Ne was definitely the the highlight of my 10 day trip in Vietnam, and when you see the photos, you’ll easily understand why. The White Sand Dunes is exactly how I have always imagined a desert to be – a vast expanse of barren land. Undoubtedly more pristine and breathtaking than the Red Sand Dunes, the White Sand Dunes is also less accessible. It is an hour drive from the centre of Mui Ne, and I must say that it is most definitely worth the commute. The only thing I didn’t like about the White Sand Dunes are the noisy ATVs speeding around, which tainted the otherwise peaceful atmosphere. The Red Sand Dunes is just 20 minutes from the town centre, and the sand is really more orangey-brown than red. The gentle slopes make it easy to walk on foot (at least in comparison to the White Sand Dunes), and it is a spectacular place to be during sunset. 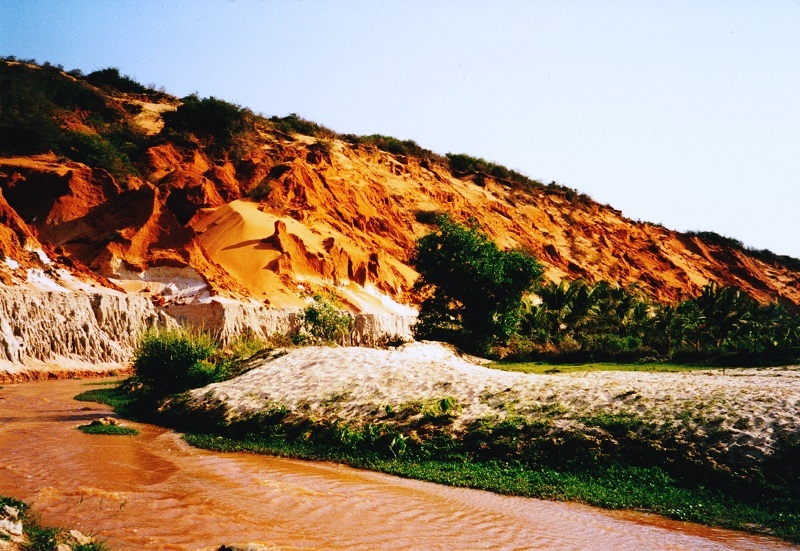 The Fairy Stream is one of Mui Ne’s main attractions, alongside the Red and White Sand Dunes. I didn’t expect to see hills of sand along the Fairy Stream at all. In fact, I didn’t even know what to expect – I didn’t do any research on this attraction at all! A stream with fluttering fairies, maybe? It was a pleasant surprise when the Fairy Stream led me into a photographer’s paradise. The ankle-deep stream is flanked by lush greenery on one side and a sand dune on the other. The landscape is absolutely surreal – a miniature mix of Cappadocia and the Grand Canyon. It was too inviting. I trudged up to the top of the sand dune like a little kid, and good thing I did too, because soon after, the midday sun heated the sand to an unbearable temperature. That’s about it, folks! Have a good trip to Vietnam and don’t forget to trick your friends on Instagram into believing that you’re on a vacation in the Sahara Desert!